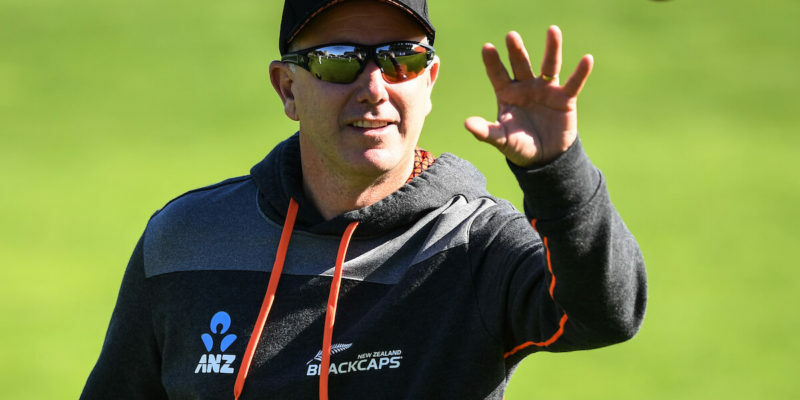 Black Caps head coach and former Canterbury batsman Gary Stead is about to face his biggest challenge in the role yet – the ICC Cricket World Cup in May. Sophie Cornish from The Star talks to him about life outside of cricket and the effect his new role has on the people closest to him. How did you celebrate when you found out you’d got the role as head coach? I got a phone call from the chief executive offering me the job. It had been a reasonably lengthy process. I rung the wife and told her I’d been offered it. It was a pretty low key celebration, I think we might have had a glass of wine or something – I can’t really remember to be honest. But it was a real thrill, a dream come true really. It’s always nice to represent your country, but then you get a chance to contribute in a different way – from a coaching perspective and helping them learn to get the best out of themselves is again different to playing. It’s still a real thrill and honour to be asked. We’ve got a pretty settled team, so keeping developing good, competitive competition right throughout the country is going to be really critical to make sure we stay at the top of the game. Any job you come into, it’s just about developing good, strong relationships and trust and then, hopefully, if you do that, your ability to keep challenging people and pushing them towards getting the very best out of them gets easier and easier. Are your wife and kids as cricket-mad as you? Both of my kids play a little bit, both of them are at secondary school now. Libby is 15-years old and she plays at the north west cricket club and goes to Christchurch Girls’ High School. She’s done well with her cricket, she’s into netball too. My boy Alex, he’s 13 and in his first year at secondary school and he’s into cricket and hockey mainly. Rachel my wife is definitely not into cricket, so she’s on the sideline reading books. She’s into her netball coaching – she coaches the Lincoln University premier team. She’s also a primary school teacher. It’s very busy. I try when I can to get them down to the nets and help them out when I can. I think the main thing when they are young, whoever is coaching them, is to make sure they have some fun and are learning something. It doesn’t have to be me; any coach can help them, as long as they do those things. Tell me about your upbringing in Christchurch – were you into sports from a young age? I grew up on an apple orchard down Marshland Rd with my mum, dad, brother Wayne and sister Andrea. I was brought up there right through until secondary school. That was great, it was outdoors sort of living and we were all expected to chip in at different times. I think it was a great upbringing to be perfectly honest. I went to a small country school called Ouruhia Model School. It was very small, only about 30 kids when I started, and about 70 when I finished. Then I went to Shirley Boys’ High School. I played a lot of sport, I was into everything really. Cricket and rugby were my two main ones. Then as I got into high school, I got into squash quite a bit. I had a go at everything really. Going to a small country school as well, everyone was into everything and you learnt to do it all. I started playing rugby for Belfast, that was the local club. When I was in fifth form I came in and played for Shirley Boys. I played cricket in town at Riccarton Cricket Club before high school and then played for Shirley Boys before going back to Riccarton after school finished. There was a 15-month age gap between me and Wayne, I was the oldest. As you can imagine things between us were pretty competitive, we were real rivals with each other as well, which was great growing up. Whatever we were doing, we were competitive and I think that’s where I got my competitive spirit from. He was into the same sports as me. Andrea played a little bit of cricket, but not too much. She was into trampolining, she represented New Zealand when she was young. She went to the world champs in Japan and did pretty well. As a sporty kid, who did you grow up aspiring to be like? When I was young, the greats in the game then were allrounders like Imran Khan and Richard Hadlee. I guess playing in the backyard, you are always trying to be those people. When I was younger, I was a leg spinner. I loved watching Abdul Qadir bowl from Pakistan – he was outstanding. Dad bowled leg spin as well, so I guess just watching him and trying to work it out myself, which was how I went about learning as a youngster. I was in my early 20s when I switched to being a batsman. My bowling didn’t really kick on. I went well for a while and then didn’t really kick on too much after that, so I switched to batting. Were you always seeking a career in sport or did you plan to do something else? Dad played cricket for Canterbury for about 15 years. Like most kids, you want to do what your dad did. We turned down a chance to run the orchard when we were younger and didn’t really see that as being a pathway for us. I was always into cricket coaching and playing. I was lucky to go to England, then I came back and got a job at Canterbury Cricket. I spent a lot of time coaching at Canterbury Cricket. I guess you must be okay at it when you keep getting opportunities to do things and more and more of them kept coming. I mixed coaching and a playing career for quite a while. I was giving everything I had to playing, but to be honest, I probably wasn’t quite good enough to hold down a spot in the Black Caps at all. But I had a great cricket career and don’t regret anything. Then coaching started to take over more and more and here I am. University didn’t really interest me. I was lucky that as soon as I left school, I got a chance to go to Lords, which is the home of cricket. I was on a scholarship there playing for six months, for MCC Young Cricketers. So I had a fantastic life opportunity and learning about my cricket at the same time. I haven’t been to university on any full-time basis. I did a few psychology papers that interested me that would potentially have some bearing on my coaching as well. I have no doubt certainly in cricket, the psychological game in your head is certainly critical. I read a lot too, mainly books where I can keep learning things. What are some of your favourite memories or highlights as a player? 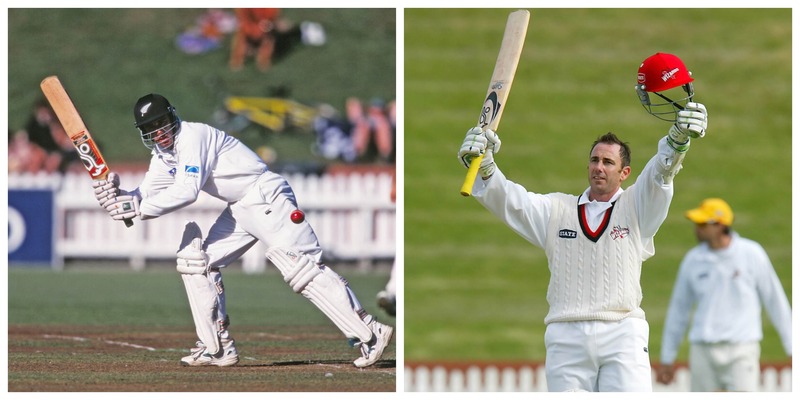 I had 12 years playing for Canterbury and I think we won about 10 titles in that time, which was pretty special, across fourday and one-day competitions. We had a very good team and a lot of players in the New Zealand team. Captaining Canterbury was really special to me and finding ways to try and win when you didn’t have those New Zealand guys there was challenging at times. Back then, we had really good facilities and good competition. They were really enjoyable times. We played with a lot of people that became close friends. When you spend so much time together and your summers are together, those people become close to you and you form everlasting friendships. When I started you had the likes of Stephen Fleming, Nathan Astle, Chris Harris, Craig McMilllan, Chris Cairns, Darryl Murray, Blair Hartland, Stu Roberts, Michael Owens. There were some really good players. Forcing your way into that for a start was very tough. Once you are in there and the more you get in there and do well, you start building something. We built a pretty strong legacy through the 1990s.